Blossoming ASX small cap, Roots Agricultural Technologies (ASX:ROO), is developing and commercialising disruptive, modular technologies to solve major problems in modern agriculture, such as water shortages and food production security, whilst mitigating the effects of extreme weather conditions and global warming. 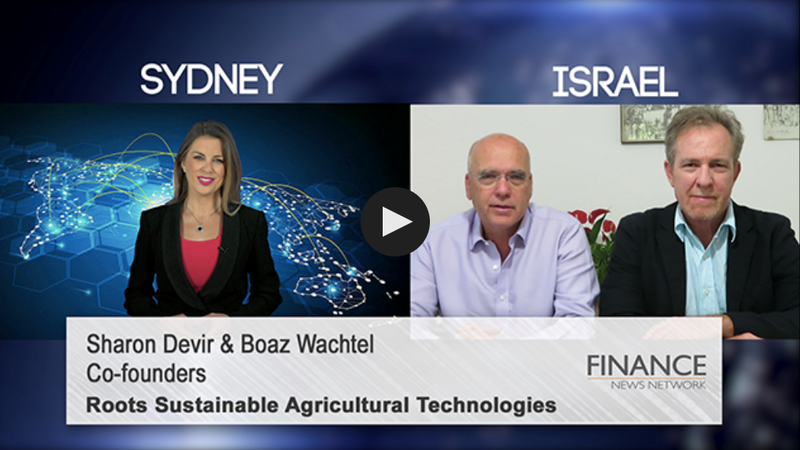 ROO’s ability to provide sustainable solutions to real-world problems gives the Israeli-based company a sharp competitive edge in the ag-tech space. Its two patent-protected technologies, Root Zone Temperature Optimisation (RZTO) and Irrigation by Condensation (IBC), present the farming community with opportunities for considerable cost and energy savings. The RZTO system optimises plant physiology for increased growth, health, productivity and quality by stabilising the root zone temperature of the plant in question. It also mitigates against the impact of daily and seasonal temperature changes, helping farmers grow crops more effectively throughout the year. Since we last caught up with ROO, the ag-tech innovator has been knee-deep in news. 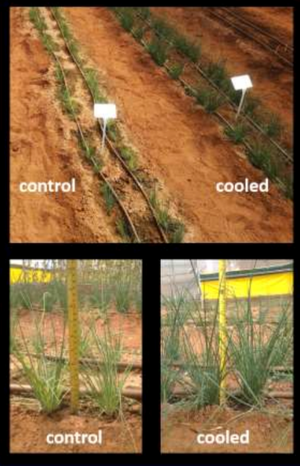 The company this week released results from a successful greenhouse pilot on chives using its RZTO cooling technology. The chives pilot was conducted during the Israeli summer, from August through to October. Traditionally a cool climate crop, high temperatures significantly hinder chives’ harvest production and crop quality. Yet during the pilot study, ROO’s RZTO technology increased yield by 257% and the growing cycle by 129%. Chive plants cooled with RZTO had an average fresh weight of 268g compared with 75g for non-cooled plants plots. The cooled chive plants also continued to grow for 55 days, while the control crop virtually stopped growing after four weeks. These pleasing results follow on from successful RZTO cooling proof-of-concepts and pilots on other crops, including medicinal cannabis and basil. Importantly, ROO is the only company in the world with commercially viable root zone cooling technology in its arsenal — another major point of difference for this ASX junior. In further promising news, ROO has been granted an Australian patent for a ‘smart pipe’ to improve its RZTO technology. The patent crystallises ROO’s IP leadership, and provides additional barriers to competitors who might want to emulate its tech. The smart pipe diffuses heat and/or cold directly only at a plant’s root zone level, rather than between plants, where pipe system segments are insulated. At alternating pressures, it can also emit fluids (water or fertigation) at root zone level. Making these features available in a single pipe system will cut costs for farmers, as it negates the need for separate root zone heating and cooling pipes and drip irrigation pipes. And that’s not all ROO has been up to. The fast-moving junior also recently scored the first sale of its RZTO technology in the buzzing medicinal marijuana market. This sale follows on directly from promising interim proof-of-concept cooling results on medicinal cannabis planted in greenhouses in July, where cooled plants achieved a substantial increase in size and stem diameter in just two months when compared to control crops. Impressively, these results show a more than 25% vegetative growth increase and enlarged stem diameters on cooled root zone cannabis plants compared with uncooled control plants. These interim results also look to offer sizeable value to farmers in the medicinal cannabis space — a market that’s expected to reach US$55.8 billion by 2025. The initial order, which is valued at A$47,000, will see ROO installing its RZTO heating technology in four areas within the greenhouse — plant quarantine, mother plant, rooting greenhouse and growing-tables — in central Israel, where medical cannabis is fully legalised. 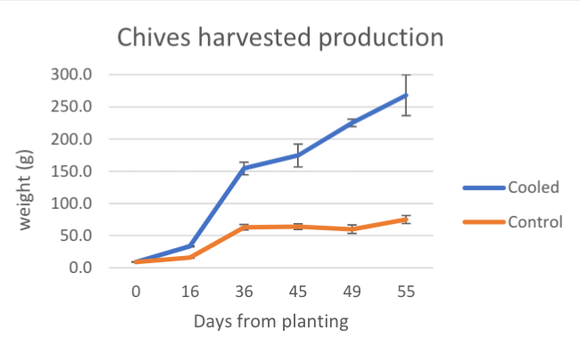 As with the most recent chives pilot, this development eloquently demonstrates the versatility of the RZTO system on a variety of crops and growing conditions. ROO has been smashing milestones out of the park this year and given its chock-full pipeline, there’s plenty more to come. As ROO ramps up commercialisation of its finely honed tech, it’s quickly developing a reputation as an industry leader. So it shouldn’t be long before sustainability-focused investors cotton on to the full potential of this $8.6 million-capped ag-tech stock. 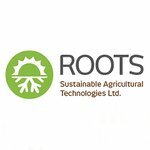 We last caught up with ag-tech growth story, Roots Sustainable Agricultural Technologies (ASX:ROO), in October with the article, ‘ROO’s RZTO Tech Produces Bigger Lettuce Crops, Faster’. As that title suggests, ROO had just released results from a successful pilot on romaine lettuce using its RZTO cooling technology that showed a 132% increase in lettuce leaf weight, with a significantly reduced growing cycle. Around the same time, ROO also inked its first commercial order in South Korea — the sixth key global market for commercialisation of its cutting-edge technologies. 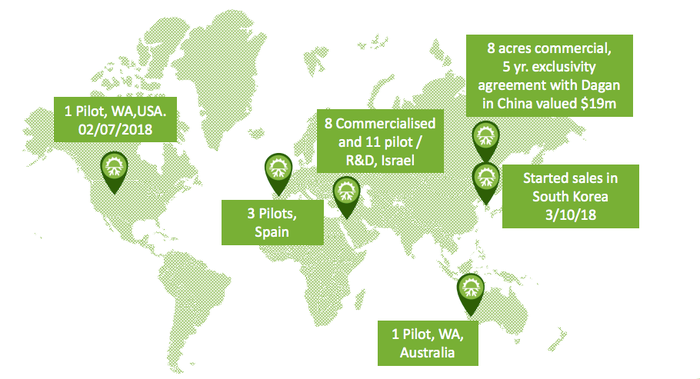 Alongside South Korea, ROO has operations across Australia, Israel, China, US and Spain, with plans for further expansion. ROO’s ability to provide ecologically friendly solutions to real agricultural issues clearly differentiates the company and its technology. And with many of these issues impacting humanity at large, ROO should only see rising demand. Increasing demand for food and water, combined with supply constraints puts this small cap disruptor in an excellent position for future growth. 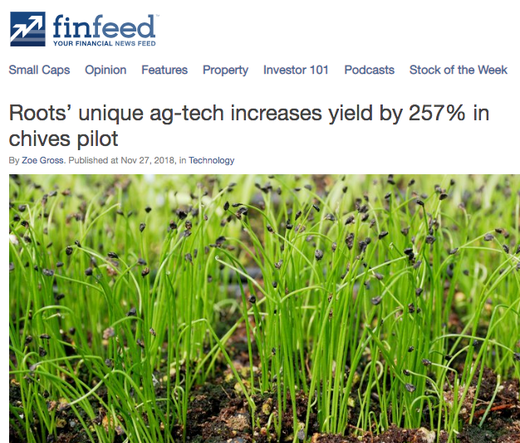 RZTO tech sees 257% yield increase in chives, extends growing cycle 129%. ROO’s latest news provides an eloquent demonstration of both the effectiveness and versatility of its unique RZTO technology. Last week, ROO released impressive results from its pilot on greenhouse-grown chives using RZTO, showing a dramatic yield increase of more than 250%. Chives plants cooled with RZTO had a significantly higher average fresh weight un-cooled control crop, of 268g compared to just 75g for the un-cooled crop. Using the hybrid ground source heat exchange (GSHE) version of the RZTO system, the roots of chives — traditionally a cool climate crop — were cooled to remain relatively stable around 25 degrees, despite ambient temperatures frequently topping 36 degrees. Overall, these results amply illustrate the efficacy of ROO’s RZTO cooling technology in substantially increasing crop yield, while also extending the growing cycles of plants that typically require cooler climates. It’s also important to note that successful pilots and proofs-of-concept are critical in the ag-tech space, and essential for generating sales in new segments. Results on a variety of crops, environments and growing conditions, meanwhile, validate the versatility of ROO’s tech, allowing the company to kick off conversations with a broader target market. ROO has also recently shored up its IP leadership with an Australian patent for a key component of its RZTO technology. Reassuringly, this provides an additional barrier to entry to protect against potential copycats. Specifically, the patent titled Heat delivery system and method relates to a multi-purpose smart pipe system which diffuses heat or cold when directed at a plant's root zone level, rather than between plants where pipe system segments are insulated. The pipe, at alternating pressures, can also act as an emitter of water or fertigation at root zone level. The smart pipe is developed and manufactured exclusively through a JV arrangement between ROO and WFI — a leading Israeli plastic extrusion manufacturer specialising in advanced technology applications in the construction industry. The use of this smart pipe system will deliver cost savings to farmers who use underground drip irrigation and who would normally need multiple pipe systems to drip irrigate, or heat or cool crop root zones. The smart pipes work to reduce energy loss between plants and optimise the RZTO system's overall energy use. The patent runs until April 2035 and provides a precedent for use in other countries where ROO has also filed patents as part of local operations, including Israel, China, US, South Korea and Spain. It almost goes without saying that the medical marijuana space is a lucrative market for ROO to be playing in — one that’s projected to hit US$55.8 billion in the next seven years. Readers who have been tracking this sustainable tech story will recall that ROO took its RZTO technology to the medicinal cannabis space this year — something it revealed back in July. The RZTO cooling system was used to keep the root zone of cannabis plants at more than seven degrees Celsius below the root zones of the control crops and kept a favourable temperature range. The RZTO pilot in Washington state was followed up with a partnership with Canndoc Limited, one of Israel’s leading medicinal cannabis growers, to launch a world-first proof-of-concept to cool cannabis roots grown in a greenhouse in northern Israel. Since then, ROO has wasted no time in firming up its marijuana arsenal, sealing two deftly engineered pot-related deals in a short space of time. These included a strategic agreement with American Farms Consulting LLC (AFC) to conduct an open field pilot in Washington state using RZTO technology. Furthermore, it hasn’t taken ROO long to bank its first sale in the medical cannabis sector, as reported on November 1, an Israeli buyer paid $47,000 for ROO’s RZTO technology. ROO’s tech will be used to heat and cool four areas within a greenhouse in central Israel, where medical marijuana is legal, with the goal to increase plant size and stem diameter. This is expected to be the first of many sales as ROO continues to demonstrate the benefits of root zone healing and cooling on cannabis crops in varying climates and growing conditions. This first sale to the local medical cannabis sector highlights the sizeable opportunity this budding market presents for the company’s disruptive tech. It also supports ROO’s step-by-step pilot-to-sales marketing approach of conducting pilots of select crops in various conditions to prove the technology’s efficiency. This first sale follows the encouraging interim proof-of-concept cooling results on medicinal cannabis planted in greenhouses earlier this year, that demonstrated cooled plants achieved a substantial increase in plant size and stem diameter compared to control crops in just two months. ROO has also been quick to capitalise on a new Israeli government subsidy, revealing the first Governmental Subsidized Basil local sale of its RZTO system last month. This is another instance where a high-impact pilot has reinforced the efficacy of ROO’s tech in diverse conditions. Following on from a successful basil pilot conducted earlier in the year, an Israeli farmer has now bought the commercial system of RZTO technology to increase crops and reap the benefits of being able to supply basil all year round. The $30,000 order is expected to be the first of many as Israeli basil growers take advantage of the subsidy. 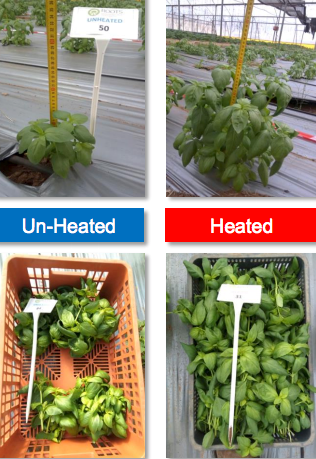 The pilot study itself took place in the Israeli winter where the roots of basil plants — traditionally a summer herb — were heated at an average of five degrees using RZTO technology. The heated plants grew faster than control plantings, increasing yield and average plant size by 66% and 35% percent respectively. ROO also shortened the growing cycle and improved the shelf life of the basil. The 30% subsidy for basil growers purchasing RZTO was approved by the Israel Ministry of Agriculture and Rural based on the success of ROO’s basil pilot, and was granted under the Precision Ag Program — a collaboration between the Israel Ministry of Agriculture and the Ministry of Finance, which is investing $17.6 million in innovative ag-tech and machinery through until the end of next year. Through successful pilots on numerous crops in different locales, ROO has consistently proven that its unique RZTO technology can substantially increase crop quality and yield, mitigate extreme heat or cold stress, and improve farm efficiency through quicker crop rotations — all the while using less energy than other irrigation systems, and making optimal use of available water. As ROO ramps up its commercialisation efforts and inks strategic partnerships, this ag-tech innovator is emerging as a force to be reckoned with. If ROO can keep up the pace, it may not be long before the agile $8.6 million-capped junior leaves its small cap days far behind.